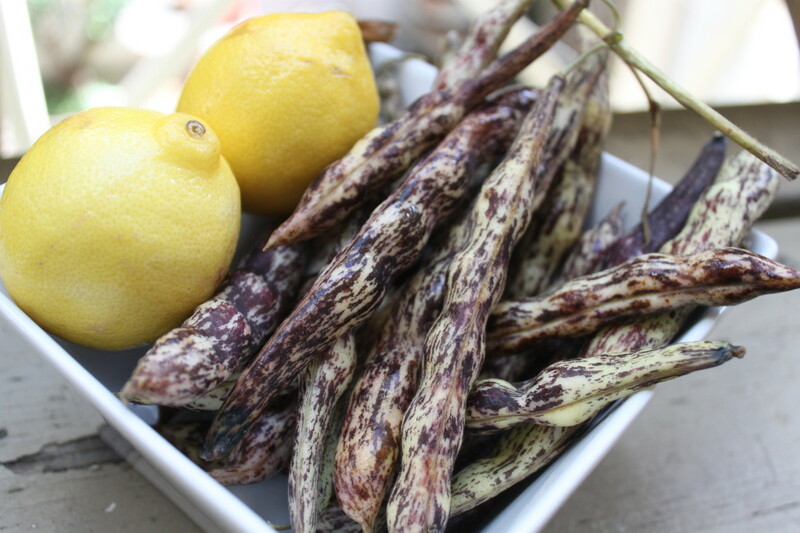 These Heirloom Beans from Yerena Farms are called “Frijoles de Vara.” This recipe was suggested by Sylvia of Yerena Farms and comes highly recommended by our Executive Director Rosi! If you like edamame, this is a fun way to steam a new kind of bean that makes for a great appetizer or snack! If you can’t find this specific type of bean, you can substituting other varieties like cranberry beans, but be sure to check with the farmer to find out how much longer you should cook them– you’d probably want to steam for an additional 20 minutes with other varieties. The instructions are very simple! 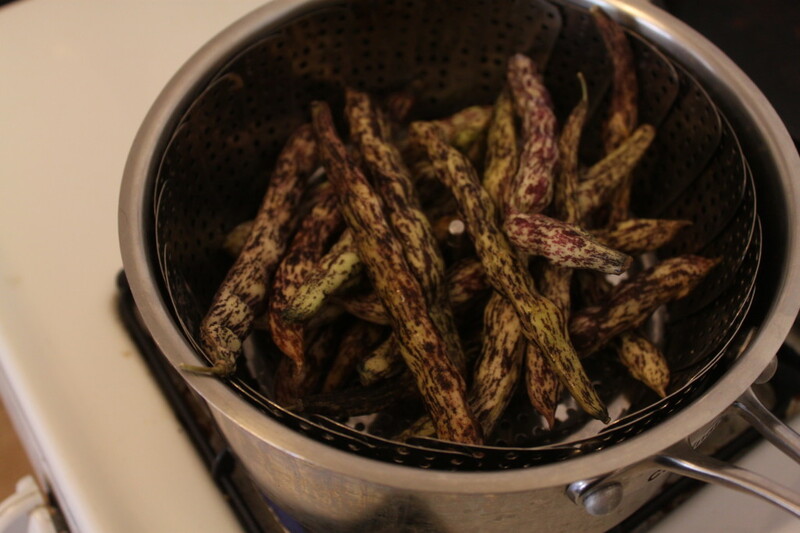 Place the beans in a steamer with a few inches of water. Steam for 10-15 minutes. 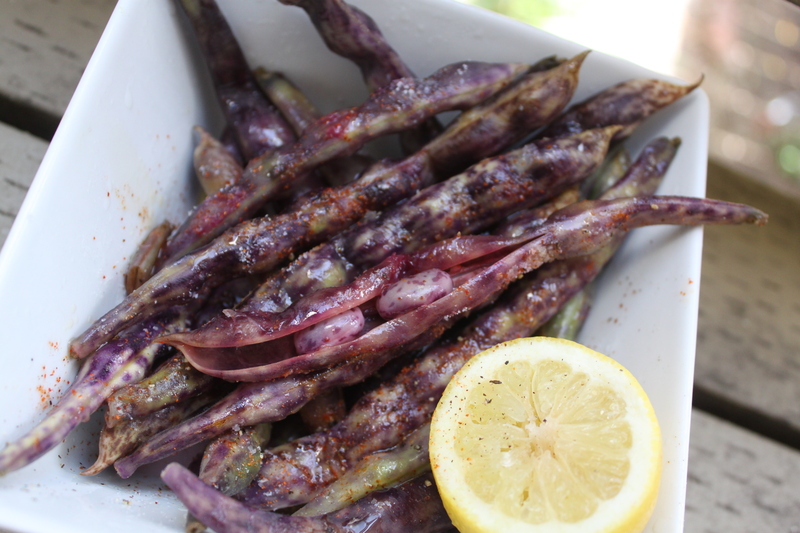 When finished, transfer beans to a bowl and drizzle with lemon juice, olive oil, salt, pepper, and cayenne. It’s that easy! You can shell the beans once steamed, but I recommend just eating them out of the shells like edamame. Enjoy the spicy, salty, lemony flavor that accents the delicious natural flavor of these heirloom beans! Deliciosos!!!! Yum, Emily! We’ll be having some of those for dinner tonight, can’t wait!